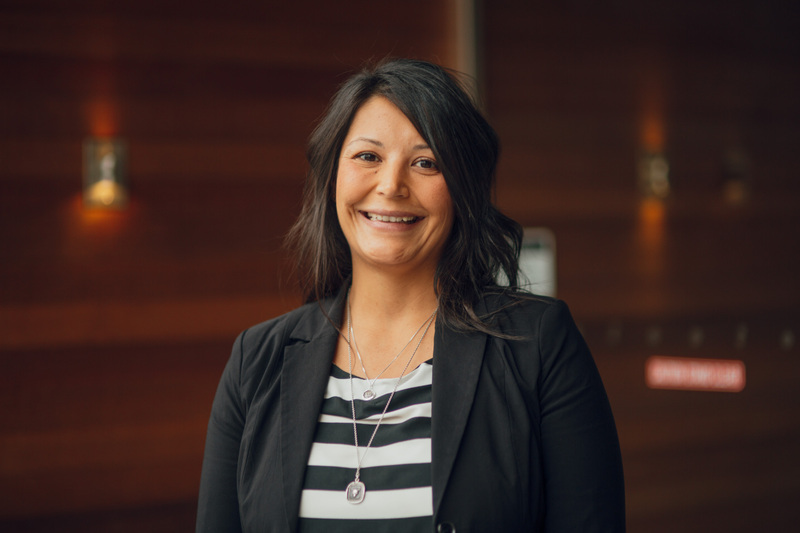 As a lawyer at Woodward and Company, Leah’s passion lies in working hand in hand with First Nation governments and members to identify needs and find practical solutions through band governance, laws, bylaws, and policy. Born and raised in Victoria, Leah is a Member of the Toquaht Nation, located on the west coast of Vancouver Island. She graduated from St. Francis Xavier University in Nova Scotia with a Bachelor of Business Administration (Honours) with a major in marketing and, following this, she attended law school at Osgoode Hall Law School in Toronto. At law school, Leah was a research assistant to Professor Kent McNeil, a leading academic in the field of Aboriginal rights. With him, she conducted extensive research on Aboriginal rights to the foreshore and seabed. In 2006, she attended in the Aboriginal Intensive Program in Lands, Resources, and the Environment, and spent a semester in New Zealand working with the Waikato Tainui on their claim to the Waikato River- the longest river in New Zealand. Leah has always been interested in First Nation governance and particularly in membership, the impact of legislation, and residual effects experienced by Aboriginal women and their communities. She strongly believes that spending time in the communities- and learning about each one- enables her to work with the law in a way that best reflects each unique nation and honours their customs, laws, and traditions. Woodward Workshops in First Nations Governance: Hosting workshops to share valuable information in a “non-legal” way, dealing with day-to-day issues that many communities face. Softball, volleyball, running, competing in triathlons, golfing, hiking, camping, anything animal related including rescuing abandoned animals, visiting the SPCA.